Judgment at Nuremberg retains its power to move and provoke us. 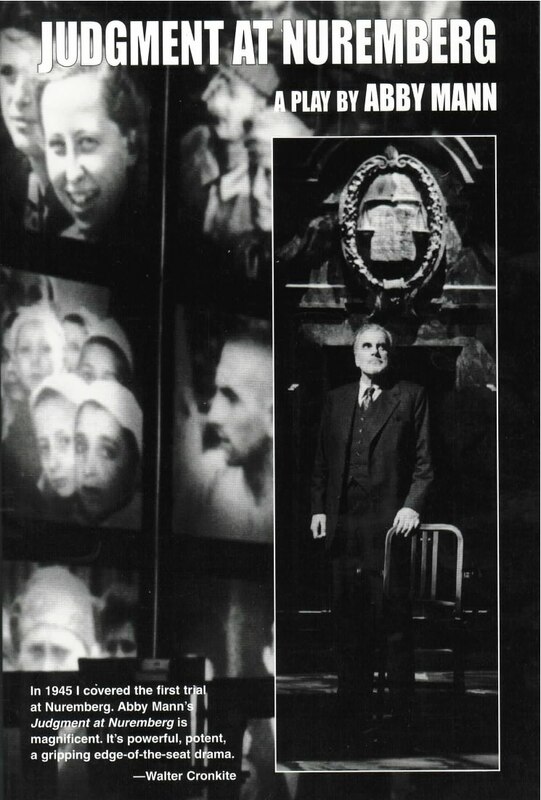 Abby Mann’s Judgment at Nuremberg not only brought some of the worst Nazi atrocities to public attention, but has become, along with Elie Wiesel’s Night and Anne Frank’s Diary of a Young Girl, one of the twentieth century’s most important records of the Holocaust. Originally produced on television in 1957, made into an Academy Award-winning film in 1961, and now available in this edition of Mann’s 2001 Broadway adaptation, Judgment at Nuremberg is as potent and relevant as ever. To this day, the Nuremberg trials stand as a model for international criminal tribunals, due in large measure to the spotlight thrown on them by Mann’s dramatic interpretation of the historic events. Mann’s compassion strikes at the heart of human suffering––his achievement has been to reaffirm humanity and justice in the wake of unspeakable evil. It’s devastating and the culmination of a magnificent re-enactment of the seminal trials of the modern era.